My own Instamatic camera had a time-exposure option. So, just because the film is Instamatic didn't mean that you couldn't try to be creative once the sun went down. 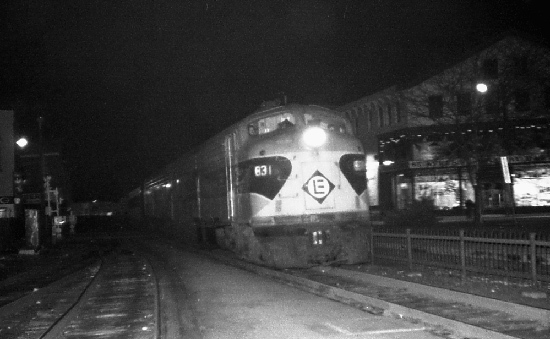 Here was my try at creativity, with train 57 for Port Jervis, stopped in Middletown, NY. (With fill-in flash!). 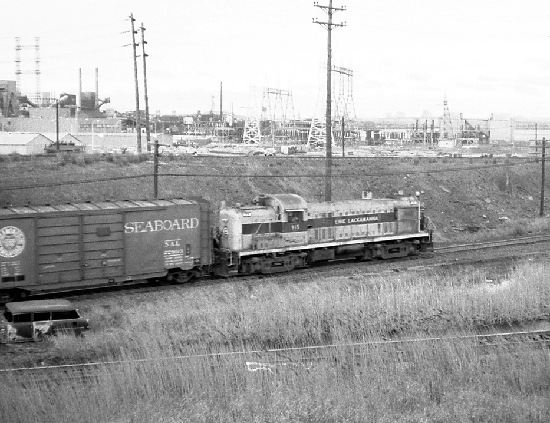 Back when there were factories with rail sidings and boxcars, there were many local freights puttering around every weekday. Here is the Garfield Drill at the westbound signal at "BT" Passaic / Coalberg Junction. On the right is the lead to the NYS&W interchange yard. This signal is still controlled from Ridgewood Junction WJ Tower, and can be set to "positive stop" in case an eastbound freight wants to use the hand cross-overs into the yard. The switches were not controlled from the tower; signal control merely allowed an eastbound move to use the crossovers without waiting 5 minutes, as per the normal rulebook procedures. 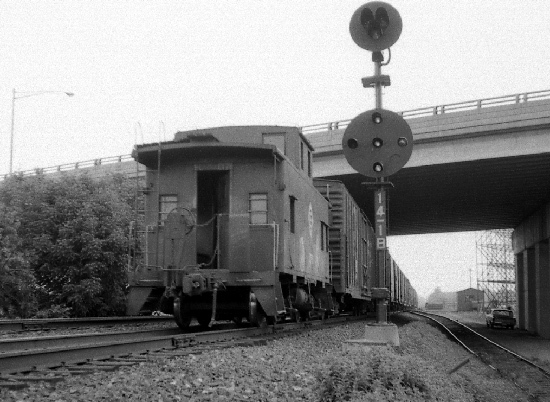 In this scene, a local freight is leaving Croxton Yard and is heading up the connecting track towards the DB Drawbridge, leading to the Greenwood Lake-Boonton Line and the Newark Branch. Given that RS and GP roadswitchers were generally not used on Newark Branch freights, this could be either the Little Falls Roustabout, the Greenwood Lake Haul, or "the Bloomer", which backed up from DB to West End as to work on the electrified Morris & Essex Line up to Summit. 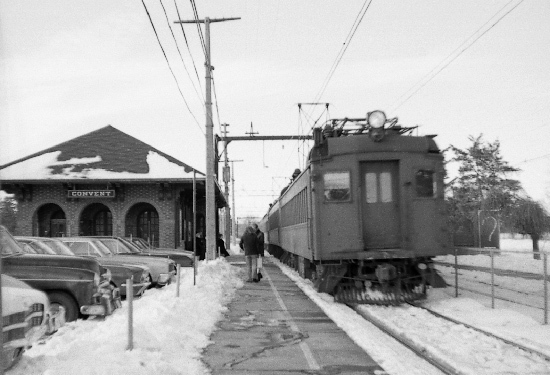 Speaking of the electrified Morris & Essex line, here is an eastbound local from Dover, stopping in Convent on a winter afternoon circa 1971. 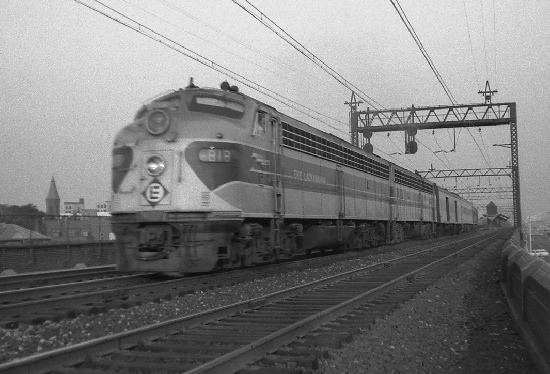 One more view from under the wires; here is train 5, the Lake Cities for Chicago, in her final full year of operation (1969), accellerating away from an early evening stop at Brick Church (in Orange, NJ). NEXT PAGE -- even more Instamatics! !